Very possibly the very best and most accomplished golfer from Bartlett High School for the last half century (1960-2010)!! Bruce Ziemski joined the Bartlett High Golf team in his sophomore year and helped to propel the Green and White to seasonal team records of 7�3, 9�1, and 12�0�1 for a total record of 28�4�1. Bruce served as team captain and Most Valuable Player during his senior year, and was also MVP in his junior year. The sport of golf had begun in 1957 at Bartlett. Martin Starosta served as Ziemski�s first coach in 1966 before Ed Kunkel took over and had the extreme pleasure of mentoring Bruce in 1967 and 1968. Bartlett recorded a record of 12-0-1 in 1968 and went on to win the Central Mass. Golf Title and finished the season as State Runner-Up to Newton High School. Individually, that season, Bruce won the Central Mass. Schoolboy Golf Tournament. �Bruce was the best of the best � he set the golf standard in Central Mass. during his high school years,� stated Ed Kunkel. �The strongest part of his game � his booming drives. His low scores of 34, 35, 36 were simply sensational,� stated Kunkel. The quiet and reserved golfer had been active in golf since age 13. His father, Joseph Ziemski, was an avid area golfer and �I just picked it up from him. I never took any lessons,� stated Bruce in a 1971 interview with the Worcester Telegram. Bruce went onto Nichols College where he played golf for four years and was team captain and MVP in the 1972 season. He was inducted into the Nichols College Hall of Fame in 1979. Also while at Nichols College, Bruce was a Dean�s List achiever, won the Southern New England Conference Championship in 1970 and was the New England Intercollegiate Champion in 1971. 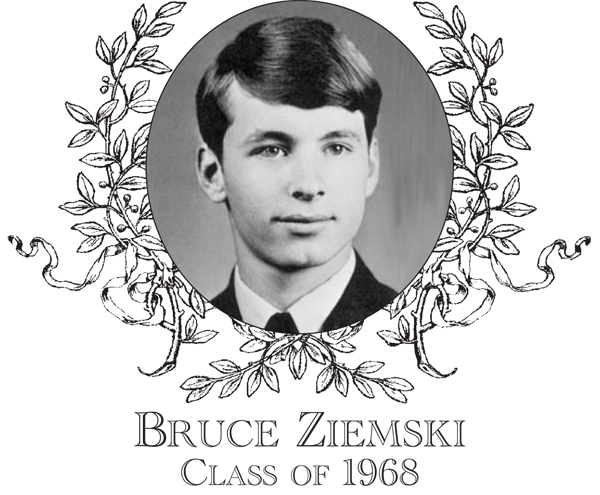 Bruce Ziemski � simply put � �The Best of the Best� � and still going strong! !